Former Pakistani batsman Ramiz Raja has said that Shahid Afridi will be the best man to lead Pakistani team in all formats of Cricket T20, Test and ODI. 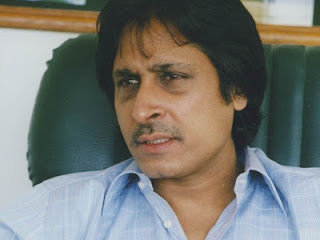 Ramiz Raja said that i will suggest Pakistan Cricket Board to make Afridi Captain of Pakistani team in all types of Cricket and i don,t think there is any other better choice than Shahid Afridi. on the other hand Pakistan Cricket board is hesitating in making Shahid Afridi Captain because he was found involve in Ball tampering and he is also fined for poor performance on Australia tour. But Ramiz Raja has said backing the Afridi that he has also faced the punishment for what he does now its time to move forwad.